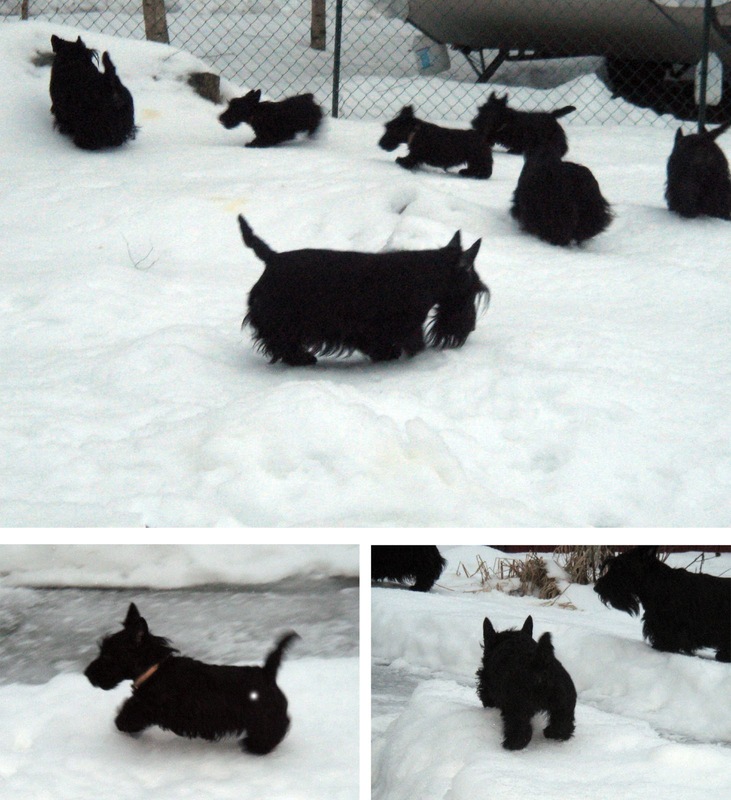 T A T L E R - dedicated to Scotties: I´m back! Sorry about the blog-break. I have puppies! The three puppy girls I still have at home from the B-litter (1+4), outside together with all the adult Scotties. Bottom left: Tatler Tweedbank "Bryony" is a rush!